NOTE from DearMYRTLE: The following was just received from the National Archives (US). Washington, DC. . . From October 9 through 11, the National Archives will host WikiConference USA 2015, the annual national conference of Wikimedia enthusiasts and volunteers in the United States. Conference registration is still open, visit: https://www.eventbrite.com/e/wikiconference-usa-2015-tickets-17796698404. View the full schedule online at:http://wikiconferenceusa.org/wiki/2015/Schedule. 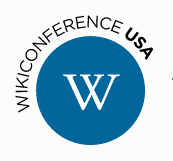 WikiConference USA will include workshops, panels, and presentations on Wikimedia’s outreach to cultural institutions, community building, technology development, and role in education. Two sessions will highlight the National Archives, Why Wikipedia Works for Us: an Exploration of Innovation at the National Archives, and a report from the GLAM-Wiki U.S. Consortium. Conference participants will be invited to explore the newly-opened National Archives Innovation Hub, and tour exhibits in the National Archives Museum. WikiConference USA is open to anyone, regardless of their involvement with Wikipedia or the Wikimedia projects. We welcome the curious, the skeptical, and anyone wishing to engage in meaningful conversation about the Wikimedia movement in the United States, free culture and digital rights advocacy and outreach, community building, and technology. Hosting WikiConference USA reaffirms the National Archives' commitment to promoting broad public access to government records on Wikipedia. Previously, National Archives has uploaded records to Wikimedia Commons, hosted in-person Wikipedia events, and developed Wikipedia best practices for peer institutions. For more information on National Archives’ Wikipedia strategy, visit its most recent Open Government Plan.